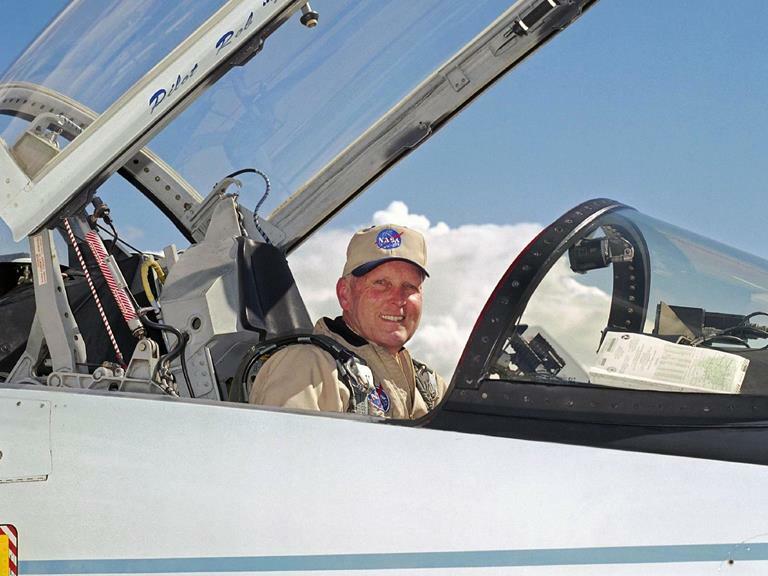 C. Gordon Fullerton served for 22 years as a research test pilot on a variety of high-profile projects at NASA’s Dryden Flight Research Center at Edwards Air Force Base. The next U.S. private spacecraft to fly to the International Space Station has been named for Gordon Fullerton, the late NASA astronaut and research pilot who helped to deploy air-launched Pegasus rockets built by Orbital Sciences Corporation while he was a pilot at NASA’s Dryden Flight Research Center. 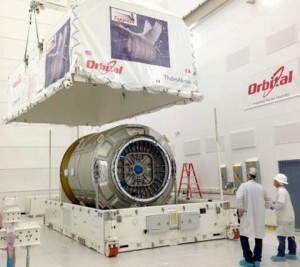 Orbital Sciences Corp. is preparing to launch its second Cygnus unmanned spacecraft to the station Dec. 18. The flight is the first of eight resupply missions the company will fly under a $1.9 billion contract with NASA. Orbital launched its first Cygnus spacecraft in September on a demonstration mission that proved it could safely fly the unmanned freighter to the orbiting outpost. Orbital officials named their maiden Cygnus in honor of G. David Low, a former astronaut and a former Orbital employee who was involved in the early days of NASA’s Commercial Orbital Transportation Services program. Fullerton compiled a distinguished career as a NASA astronaut, research pilot and Air Force test pilot spanning almost 50 years. He died Aug. 21 at the age of 76, three years after suffering a stroke that left him partially paralyzed and confined to a long-term care facility in Lancaster. Read more on Fullerton here. After flying Enterprise, NASA’s original prototype space shuttle, on atmospheric test flights, Fullerton launched into space twice. He piloted the space shuttle’s third mission in 1982 and, three years later, commanded shuttle mission STS-51F. Fullerton followed up his 16 days orbiting the Earth with 22 years of service as a research pilot at NASA Dryden. It was in this capacity that he worked with Orbital Sciences. Orbital introduced the Pegasus in 1990 as the first commercially developed launch vehicle. Used to deploy small satellites, the winged Pegasus’ first stage is launched from an aircraft, initially NASA’s now-retired NB-52B and now a modified L-1011 commercial transport. Fullerton flew NASA’s NB-52B aircraft from Dryden on the first six air launches of the Pegasus. The Cygnus Spaceship C. Gordon Fullerton is scheduled to launch the evening of Dec. 18. The Cygnus is being mated to its Antares rocket this week. For this mission, the Cygnus will loft approximately 3,217 pounds of science equipment, spare parts and supplies to the space station for NASA.